From homework and tests to extra-curricular activities, students already shoulder plenty of weight during back-to-school time. Their backpacks should be the least of their worries, says Albany chiropractor Dr. John Traudt. Lighten the Load: A loaded backpack should never be heavier than 10 percent of a child’s weight. Unfortunately, it’s been estimated that 60 percent of students between ages 12 and 17 are carrying this amount and more. Lift with the Knees: Teaching your child about proper lifting will offer a lifetime of protection for his or her back. Children should always lift their backpacks using their knees, not their waists. Seek Advice from a Physical Therapist: Licensed physical therapists are specially trained to prevent injury, reduce pain and restore mobility. 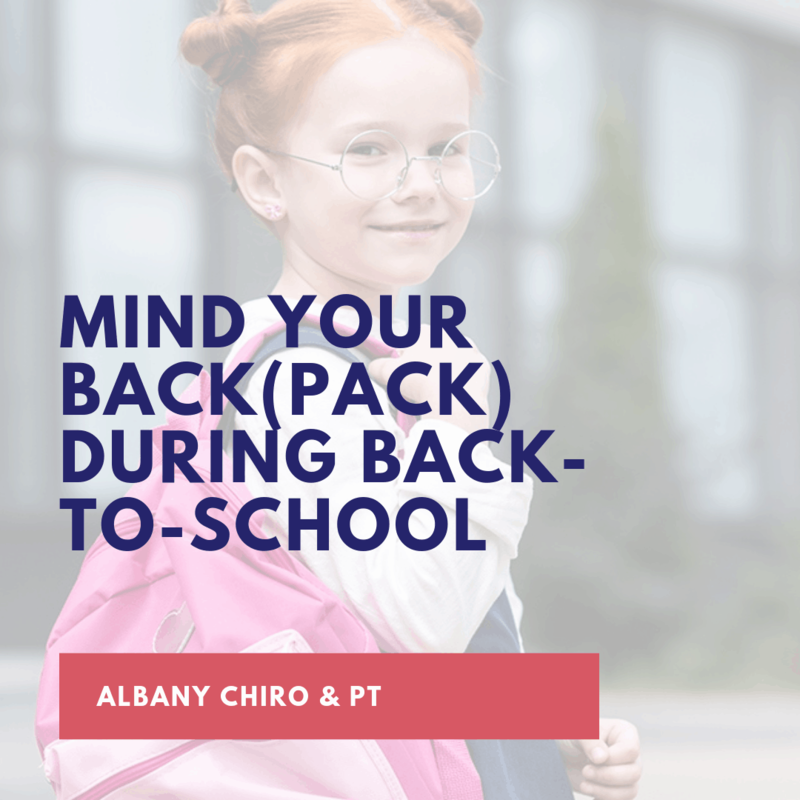 Seek the advice of a physical therapist, such as those on the Albany Chiropractic & Physical Therapy team, to learn more about properly selecting and wearing a backpack.